& from Wales / Cymru including Long Compton. We all know this is a must have mono first press, so on to the nitty gritty. The sleeve is front laminated & remains in beautiful, Excellent condition with minimal signs of any wear, all print is clearly legible. The colours are rich & unblemished & the more you study it, the sleeve is fast approaching Near Mint all round. You simply won't find a better one. The light powder blue Pye labels show only the very faintest of spindle marks to indicate play with no marks or tears. The heavyweight vinyl itself is incredibly clean, & is carefully graded EX/EX- with a lovely deep sheen both sides. On close inspection, there are some very faint paper hairlines through time, none of which affect play & on first sight you would expect this one to have an £800 asking price at any record fair. For the audiophiles among you that actually love to play their records, you're on to a winner here. A one owner copy of an alltime classic sixties recording! Highly recommended. 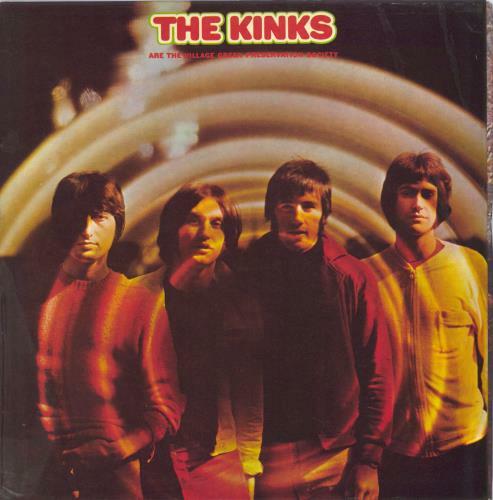 Product Information The Kinks Are The Village Green Preservation Society - 1st UK vinyl LP album (LP record).